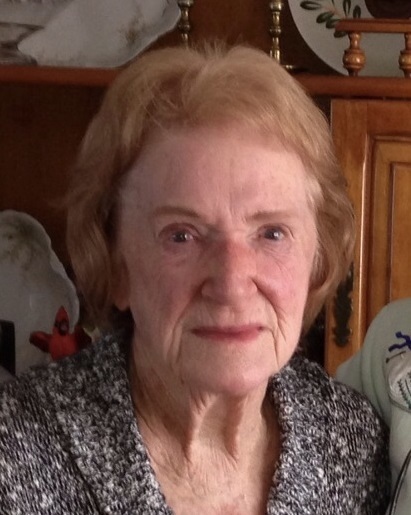 Obituary for Betty M. (Wright) Labutis | McIlvaine-Speakman Funeral Home LTD.
Betty M. Labutis, 86, of Canonsburg, died Monday, November 12, 2018, in the Donnell House, Washington. She was born June 28, 1932, in Meadow Lands, a daughter of Arthur and Margaret Black Wright. Mrs. Labutis had worked as a waitress at the former Lou Kairys Restaurant in McMurray. She enjoyed sewing, gardening and loved flowers. On September 4, 1948, she married Raymond Labutis, who died April 1, 1993. Surviving are: two children, Sandra Grilli (Eugene) of Washington and Scott Labutis (Terry Smith) of Houston; six grandchildren, Kristin and Amanda Grilli, Mark Grilli (Jodi Zook), Megan Smith, Brian Smith (Justine Flint) and Billie Jo Labutis; seven great grandchildren, Paige and Peyton Labutis, Hunter Smith and Gabriel, Isabella, Logan and Nathan Locarria. Deceased are: a daughter, Darlene Labutis; a son, Franklin Labutis; and a brother, Franklin Black. Friends will be received from 2 to 4 and 6 to 8 PM, Thursday in McIlvaine-Speakman Funeral Home Ltd., Robert K. McIlvaine, owner/supervisor, 27 Cherry Avenue, Houston, PA 15342, where a blessing service will be held at 11:00 AM, Friday, November 16, 2018. Interment will follow in Oak Spring Cemetery, Canonsburg. In lieu of flowers, the family suggest memorial donations be made to the American Heart Association, 444 Liberty Avenue, Suite 1300, Pittsburgh, PA 15222, www.heart.org.